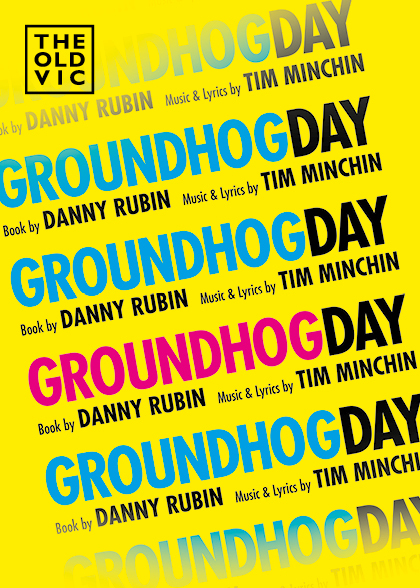 We are delighted to announce the full casting for the world premiere of the new musical Groundhog Day, which previews at The Old Vic from 11 July 2016 with press night on 16 August 2016. Carlyss Peer will play Rita Hanson alongside the previously announced Andy Karl in the role of Phil Connors. They are joined by an ensemble cast including Leo Andrew, David Birch, Ste Clough, Roger Dipper, Georgina Hagen, Kieran Jae, Julie Jupp, Andrew Langtree, Vicki Lee Taylor, Emma Lindars, Antonio Magro, Carolyn Maitland, Kirsty Malpass, Lisa Mathieson, Eugene McCoy, Jenny O’Leary, Leanne Pinder, Mark Pollard, Damien Poole, Jack Shalloo, Andrew Spillett and Spencer Stafford.